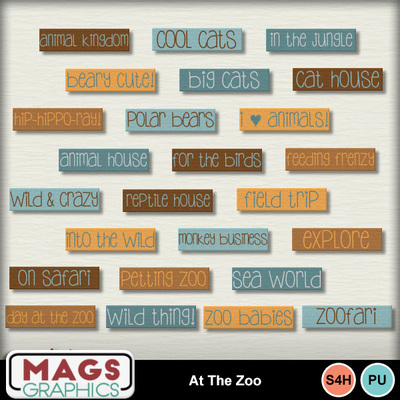 We are AT THE ZOO and the animals are roaring in to help you scrap your zoo-tastic memories! Don't miss out on any part of this collection: Papers, Elements, Flair Packs, Journal Cards, or Tags! This is the TAGS PACK and includes 25 Word Tags.